For over 25 years, BPA Quality has been working with some of the world’s biggest organisations with one aim: to improve customer experience and, through this, deliver increased sales, retention, loyalty, cost optimisation, compliance and profitability. Our many valued clients have a common passion and commitment to create outstanding organisations and work in partnership with BPA Quality to achieve competitive advantage and deliver exceptional results. They understand the strategic importance of having a highly effective quality programme within their organisation. 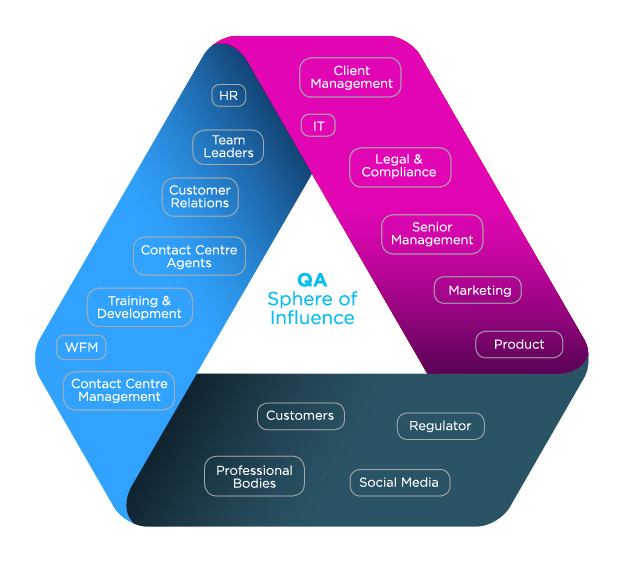 As the sphere of influence and recognition of the importance of the Contact Centre and quality functions grow, covering all aspects of the business from Sales, Marketing, Product Design, Legal and Compliance to the Customer-Facing Operations, so the need to capitalise on this key resource becomes imperative. activity internationally, covering 45 languages, so we understand the differences between customer service expectations across multiple cultures. All of this activity has enabled us to gain a detailed knowledge and view of the behaviours and processes that drive positive customer experience and engagement in Contact Centres and the development of effective quality and coaching programmes that enhance performance. One of the key areas is a detailed understanding of the value and importance every customer interaction has in either positively or negatively impacting customer engagement with the organisation. A great deal of focus in the Contact Centre quality programmes we encounter remains centred on scripting, process adherence, AHT reduction, risk avoidance, contact deflection and compliance, and not always on maximising the real opportunities presented in the Human Element of interactions. Every conversation with a Customer is a lot more than just saying words and phrases – it’s an opportunity to make a real connection, to build the human element. As humans, unlike machines (chatbots), we have the ability to be creative, intuitive, show genuine empathy, feeling and understanding; to connect on a human level. Build loyalty, retention, sales opportunities, advocacy, and increase first call resolution. Every interaction, whatever the duration, represents an opportunity to discover valuable information about your Customers, identifying their challenges, wants and needs. This knowledge, once identified, can provide you with actionable insight and intelligence that can be used to guide the conversation and help build more effective human connections. So in our rush to automate everything, push Customers online and reduce expensive human contact, we must not forget the value these interactions bring to our business. Significant focus should be placed on developing the effective skills, behaviours and coaching programmes designed to maximise this great benefit to our people and Customers. Valid Call Monitoring Sample...What is the "right" answer? Stop Trying To Replace Your Agents With Chatbots. No, Seriously. What can we learn from Tesco Mobile’s award-winning Voice of the Employee programme?